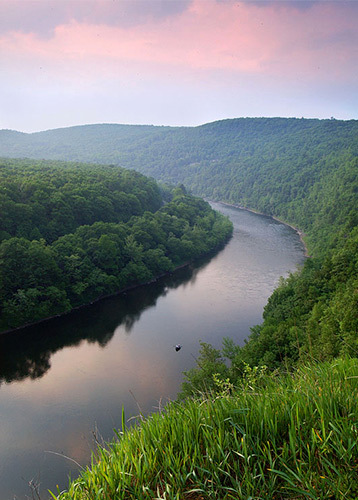 UPDATE: On September 28, 2016 the Pennsylvania Supreme Court issued its 2nd decision in Robinson Township, Delaware Riverkeeper Network, et al v. Commonwealth, declaring that sections of Act 13 that remained in dispute are unconstitutional and enjoined. When the Atlantic sturgeon, a large fish with armor-like bony plates and long protruding snout, was listed as an endangered species under the federal Endangered Species Act in February 2012, the federal government (National Marine Fisheries Service or NMFS) failed to timely designate critical habitat for the species. Designation and protection of critical habitat is essential to the conservation of the Atlantic Sturgeon as critical habitat includes those areas where the Atlantic sturgeon spawns, feeds, seeks shelter, or carries out other essential life functions. DRN,et al. v. PaDEP and Pennsylvania Water Company (Pennsylvania EHB appeal no. EHB 2002-113-MG (consolidated appeal); Eastern District of PA, Civ. No. 02-CV-07096): Defeated a major water diversion, withdrawal and distribution scheme that threatened the headwaters of the Brandywine Creek, and prevented sprawl in rural Chester County. Highways are among the most significant sources of water quality degradation, especially due to their secondary, sprawl inducing effects. The Clinic is addressing the negative impacts of roads and other infrastructure in the watershed. In October 2013 Delaware Riverkeeper Network brought a legal action to compel the State of Delaware, through the Delaware Department of Natural Resources and Environmental Control (DNREC), to take action on Delaware City Refinery’s (DCR’s) languishing 2002 National Pollutant Discharge Elimination System (NPDES) permit application. The lawsuit was filed in the Delaware Superior Court; DRN represented itself, National Sierra Club, Delaware Sierra Club and the Delaware Audubon Society. DRN et al. v. USEPA. Second Circuit, U.S. Court of Appeals, no 04-6692-ag(L). NY Riverkeeper led an appeal of draft 316(b) regulations regarding cooling water intake structures and regulations issued for new sources and then again regulations issued for existing sources. The Riverkeeper organizations involved in the suit were successful in striking down the regulations in both instances. On October 27, 2015, the Pennsylvania Supreme Court issued an order in the Act 13 setting the scope of oral argument on the issues that remain for the Court to decide. Oral argument is an opportunity for the Justices to have counsel discuss and answer specific questions or concerns that the Justices may have on the issues presented. The Court agreed to hear argument on Appellants’ cross-appeals addressing the physician gag rule, eminent domain, and the lack of notification of spills to private water supplies. Notably, the Court denied PUC and industry attempts to have the Court revisit its 2013 landmark decision on Article I, Section 27 of the Pennsylvania Constitution as part of oral argument before the Court.